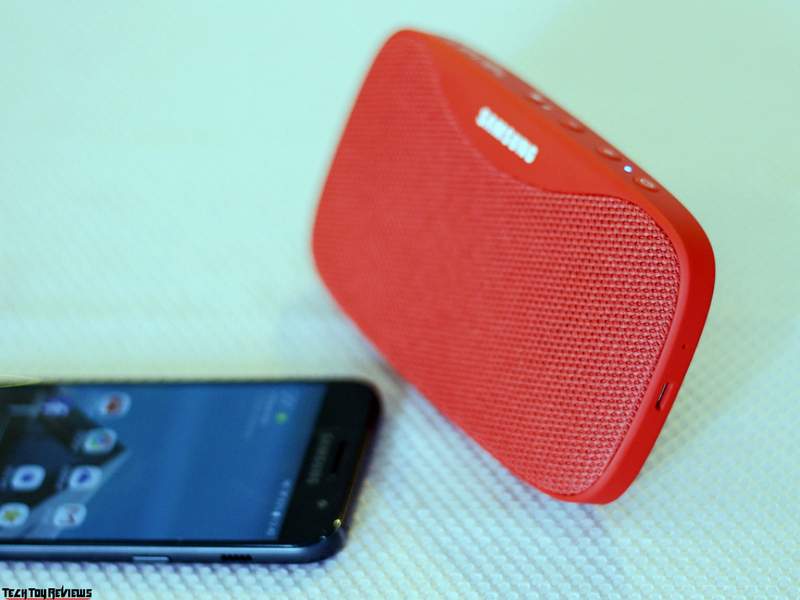 The latest wireless speaker from the Samsung is the Level Box Slim was launched at CES 2017. This new portable Bluetooth speaker is now available at $100. 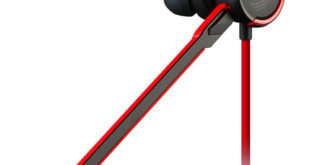 Designed to be used outdoors, the speaker has IPX7 certification for dust and water resistance. We go in-depth with the Samsung Level Box Slim review below. 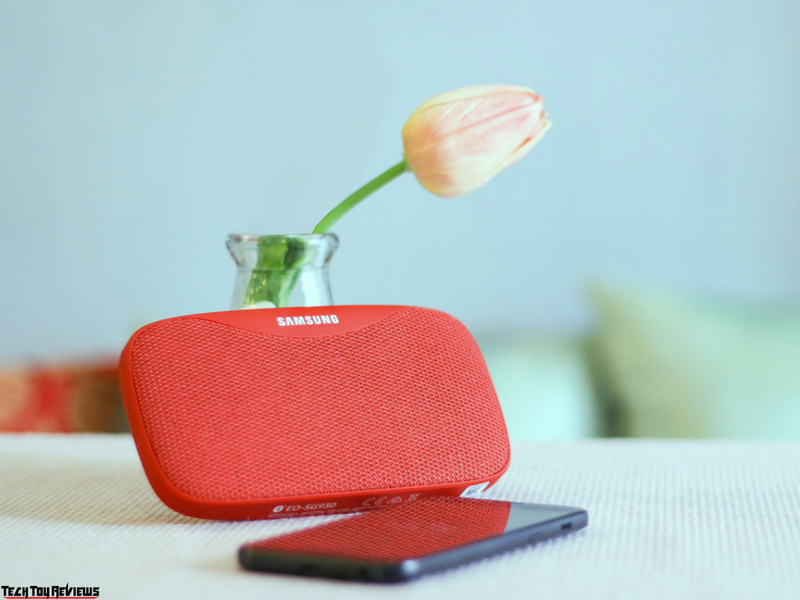 The Samsung Level Box Slim Bluetooth speaker is very compact, with a convenient shape and size like clutch that makes it easy to toss into a bag and take with you wherever you go. Inside the box includes the speaker itself; USB charging cable; OTG cable as its also work as a PowerBank to charge your device and User guide. 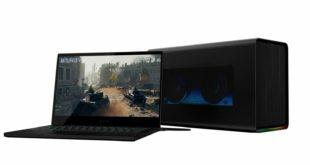 The front has a fabric cover over the speakers and the back panel has a flip base to open to use as stand whenever you like which really help the speaker stand out in a crowd. 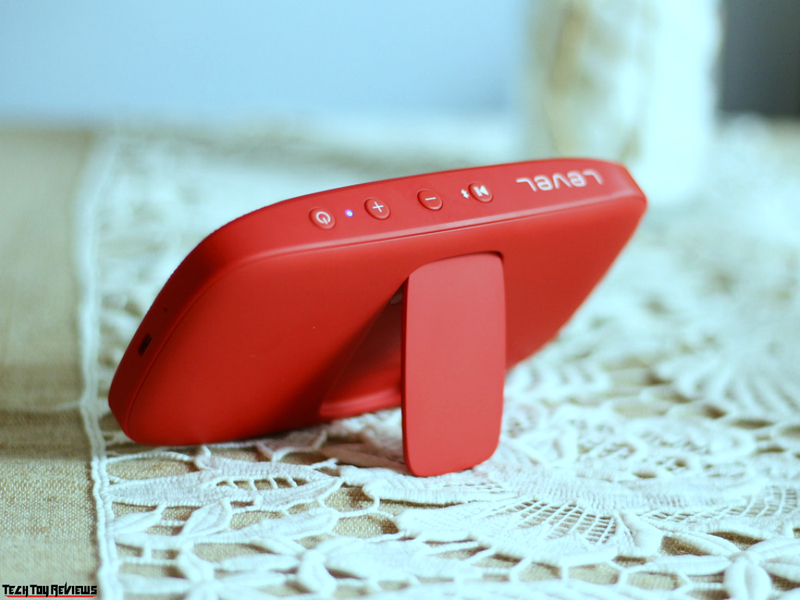 The top of the speaker has the controls, while the right side has a Micro-USB port and Mic for wireless voice calling. There’s a total of 8W of power, coming from two 4W front-firing speakers. 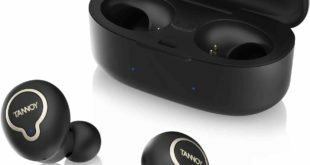 It supports Bluetooth 4.1 for wireless connectivity, and pairing was quick and flawless with our devices. The sound is very different depending on what audio transmission mode you use. There are four LED indicators for the battery level as well. 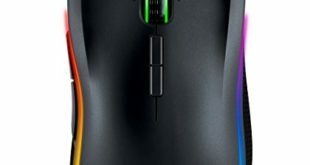 There are four buttons for power, volume up/down and Bluetooth pairing/ phone answer. The device is IPX7 water resistant, which means it can safely stay under water a depth of 1 meter for 30 minutes, but you can’t really be dunked in soapy or salty water or pool. The Samsung Level Box Slim pushes out a loud, aggressive sound with thumping bass that at no point feels overbearing of overpowering of the rest of the range. The sound is surprisingly good, the two speaker drivers succeed in creating a sound that is wide, targeted and more than enough to fill up a small room, despite the small size of the Level Box Slim. Highs and mids are as capable as the low-end, and this makes for a clean, well-driven experience. 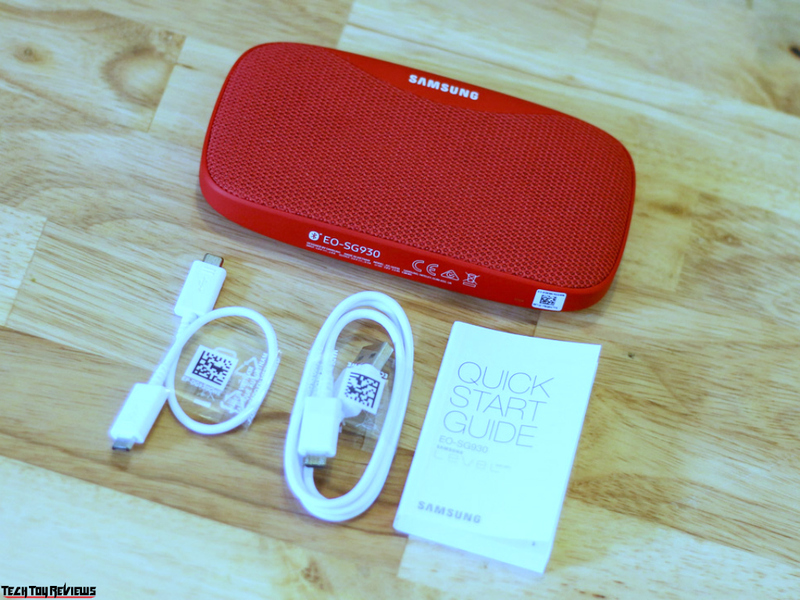 The Samsung Level Box Slim weighs 236g, and packs in 2600mAh battery which has claimed a battery life of about 30 hours (mid-volume level) on a full charge, and we got close to this amount of usage time. 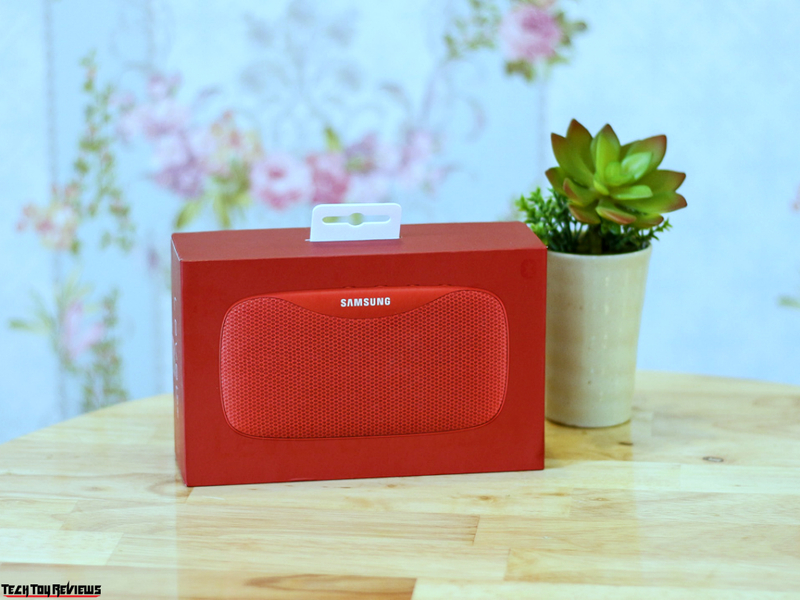 Samsung Level Box Slim is a conveniently designed wireless speaker that offers decent ‘outdoor’ performance and can even be used in rough conditions thanks to splash-proofing; a fairly dual channel sound, and also features a microphone, noise reduction, and echo cancellation, which also provide good voice calling experience. Although it isn’t quite the best option available in its category and price bracket – about $100 can be purchased through Amazon store in Red and Black colors; it might be worth an audition if you’re looking for a compact, waterproof, Bluetooth Outdoor Speakers for your kitty parties and outing.